In recent years, the economy has suffered and a lot of us have fallen on hard times. So how can ‘getting fired’ be the best thing that could ever happen to someone? Well, a lot of successful people were handed the pink slip before they found their place in the world. His journey to the top was not without roadblocks, one of the being fired from Ford Motor Company after butting heads with no less than Henry Ford II. As early as the 40s, he already had a flourishing career in sales and marketing and even became the company’s president by the late 70s. After getting fired from Ford in 1978, Iacocca quickly moved on to Chrysler, whom he saved from bankruptcy by asking the United States Congress to bail them out. Eloquently describing the loan guarantee as a “safety net”, he was able to save Chrysler from certain doom. He then went on to release the Dodge Aries and Plymouth Reliant as well as re-invented the Imperial which had features ahead of its time. As a famous rags-to-riches figure in the literary world, millions of teenage (as well as adult) readers have gobbled up her seven-volume saga of the boy wizard who also came from humble beginnings like JK. 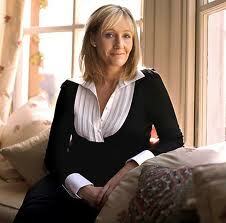 Rowling. But what you probably didn’t know was that she got fired from her job as a secretary in Amnesty International before she hit it big. Back then, she was already forming the foundations of Harry Potter in her mind, along with the characters and situations he would be faced with. Soon enough, all that daydreaming led to her getting fired, which put her on the path to becoming one of the world’s most celebrated authors. The recently departed technocrat didn’t just get the boot back in the day – he got fired from his own company. That’s right: the co-founder of Apple was actually exiled from the very empire that he helped build from the ground up. But as everyone knows, it worked out pretty well for Steve Jobs and his legacy. Getting fired gave him the opportunity to work on other things, such as creating NeXT, a computer company that catered to the business crowd as well as a division of Lucasfilm’s computer graphics division which later became Pixar. 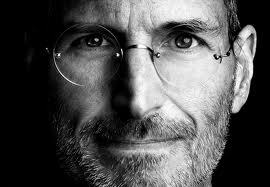 His triumphant return to Apple several years later heralded the creation of the iMac, iPod, iPhone, and iPad. After dropping out of Collaborative Arts Project 21 (a New York-based musical school), the unconventional singer did some small gigs around town until she gained a loyal following in the downtown Lower East Side club scene. She finally caught the eye of Rob Fusari, a music producer who then collaborated with her to cut some tracks in the studio that they shopped to other people in the music industry. Things took a nasty turn when Lady Gaga was suddenly dropped only after three months of being signed onto a major label. Not content to wallow in misery, she soon picked herself up and continued using her previous material with Fusari for performances, particularly one at Lollapalooza where she gained critical fame. By 2008, she was already signed onto another label and released her debut album “The Fame” which has become one of the most successful albums in pop history. The revolutionary animator went through a string of failures before he created one of the biggest entertainment companies on the planet. He had a short-lived career as a newspaper artist, drawing political cartoons and comic strips. Soon after, Walt Disney hopped from one job to another until he put up Laugh-O-Gram Studio, which gained popularity but went bankrupt. 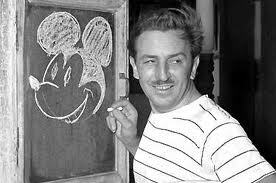 After setting up another company called Disney Brothers Studio, Walt finally struck animated gold after creating the classic short called “Steamboat Willie” which catapulted Mickey Mouse as one of the most recognized cartoon characters in the world. Before the famous author wrote classics such as “Breakfast at Tiffany’s” and “In Cold Blood”, Capote worked at The New Yorker as a copyboy who sorted cartoons and clipped newspapers. He held this unassuming job for a full two years until he was fired, thanks to an angry whim by Robert Frost who convinced the magazine to let him go. 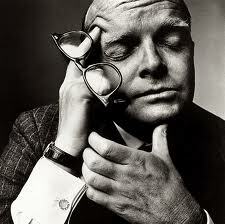 Fortunately for Capote, this planted the seeds for what was to become a prolific writing career. After writing a series of short stories, he managed to sign a deal with Random House who published his first novel, “Other Voices, Other Rooms” which put him on the path to becoming one of America’s most memorable cultural icons. The comic actress and hostess of the famous cooking show “Dinner and a Movie” had to endure verbal abuse from none other than her idol Woody Allen who fired her for not living up to his expectations. Allen even went so far as calling Gurwitch “retarded” before kicking her to the curb. 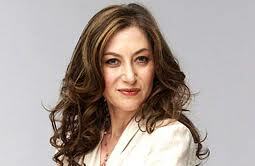 But she went on embark on a successful career in showbiz, playing various parts in TV and movies. Ironically, she was responsible for the 2007 documentary “Fired!” which featured a number of people (including herself) who were axed from their respective jobs before becoming successful. Unhappy with Seinfeld’s performance, the bosses behind the sitcom Benson decided to cut the comic genius from the show – he was the last to know about it. After showing up for rehearsal, he found that his character had been erased from existence without any warning. No matter – he sucked it up and returned to doing stand-up gigs at local venues. 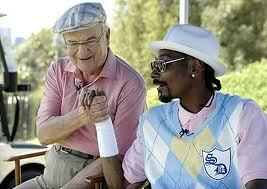 Eventually, his hilarious performances impressed the likes of Johnny Carson and David Letterman. In time, his career took off to incredible heights, having starred in nine solid seasons of his hit show “Seinfeld” for almost a full decade. Before becoming the lead singer and rhythm guitarist for one of the most epic rock bands of the 20th century, James Hetfield worked in a sticker printing factory. Ultimately, he lost his job but he went on to collaborate with drummer Lars ulrich to form the face-melting, ear-shattering heavy metal act known asMetallica. Since Hetfield joined the band in 1981, his band has created a total of nine studio albums featuring classic rock anthems that their countless fans headbang to until today. That sure beats printing stickers! She’s easily recognized as one of America’s most successful media figures, having been a talk show host, actress, and producer throughout her career. But no one gave her any hand-outs during her journey to success. Oprah Winfrey’s turbulent family life led her to carve out a self-made career as a television personality, even when she was let go as a news reporter for Baltimore’s WJZ-TV. The good thing about getting fired though was that Winfrey moved to Chicago which was a pivotal move for her professional life. This was where she became host of AM Chicago, an unremarkable talk show which quickly climbed TV ratings. 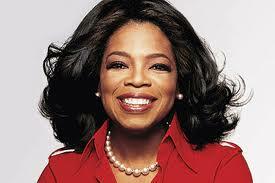 It was later renamed as the “Oprah Winfrey Show” which ran for 25 seasons over the course of 25 years. After 4,561 episodes, Oprah Winfrey has not only become the wealthiest black person in the last century, she’s also one of the country’s leading black philanthropists. This edgy fashion journalist first got her feet wet at Harper’s & Queen, a magazine where she served as one of its very first editorial assistants. Thanks to her work, the publication came out with groundbreaking photo shoots with the likes of Helmut Newton and other innovative photographers in the industry. Anna Wintour often clashed with another editor, and she moved on to work as a junior fashion editor at Harper’s Bazaar. Unfortunately, her shoots were deemed too much by the editors and got subsequently kicked out in less than a year. However, Wintour eventually became the editor-in-chief of Vogue and has occupied that position for a running total of 23 years. She continues to be an influential force, not just within the fashion world, but also beyond the industry. Wintour reportedly even talked Donald Trump into letting Marc Jacobs to use the Plaza Hotel as a venue for one of his shows! Bill Belichick had been a defensive assistant, special teams coach and defensive coordinator for the New York Giants for 12 years. It was in 1991 when he became head coach for the first time for the Cleveland Browns until he was fired from his position four years later. After that however, Belichick was named head coach of the New England Patriots in 2000 and was responsible for the team’s five appearances at the Super Bowl. 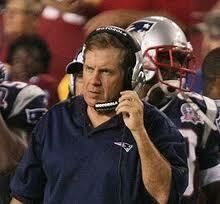 Since his removal from the Browns back in 1995, he was also designated as the AP NFL Coach of the Year three times. 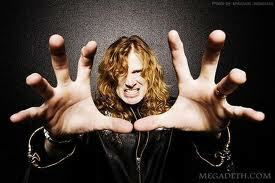 His career soon took off, with Megadeth extensively touring the U.S. and Canada. On one occasion, they even played at the same venue as Dave Mustaine’s former band. 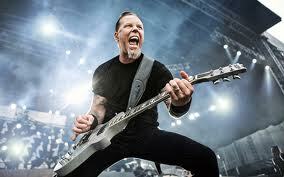 To date, they’ve released 13 albums and have a worldwide fan base as fiercely loyal as that of Metallica’s. 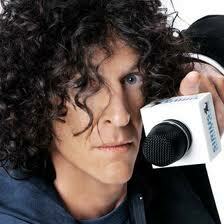 Widely known as a “Shock Jock”, Howard Stern gained notoriety as a radio talk show host in the 90s because of his blunt style and controversial topics. He particularly gained fame during his time as a host for both WWDC and WNBC and greatly increased their respective ratings during his time there. However, Stern found himself fired by both stations because of the raunchiness of his material, touching on sensitive topics such as sexuality and religion. Getting the suits worked up over his unorthodox style proved to be a beneficial career move for Stern since it opened the door to bigger things. 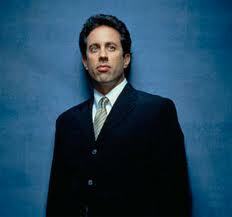 In fact, he was named, Nationally Syndicated Air Personality of the Year from 1994 until 2002. Since 2006, he’s switched to satellite radio where he’s free of FCC regulations and continues to entertain his millions of devoted followers. Anyone who’s even remotely knowledgeable about music knows who Madonna is, and to date she’s sold over 300 million records as the top female pop performer of all time. On Billboard magazine’s Hot 100 All-Time Top Artists, she’s right up there with the likes of The Beatles and her influence in the world of music is second to none. Before she achieved any of that however, Madonna first worked in various diners and fast food joints while she was starting out. In one particular job, she quickly got fired for dousing a customer with donut jelly on purpose. Although her potential career in the food industry crashed and burned, this paved the way for her to become one of the most recognized faces in the history of music. Joel Brown is the CEO and Founder of Addicted2Success.com. With a long time passion for Entrepreneurship, Self development & Success, Joel started his website with the intention of educating and inspiring likeminded people all over the world to always strive for success no matter what their circumstances.